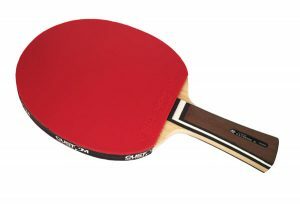 Blutenkirsche Elite 5 Star Custom Table Tennis Bat fitted with Kokutaku ITTF Approved rubbers. 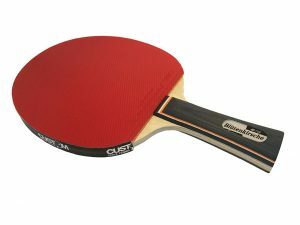 Blutenkirsche Elite 5 Star Custom Table Tennis Bat fitted with Kokutaku ITTF Approved rubbers. 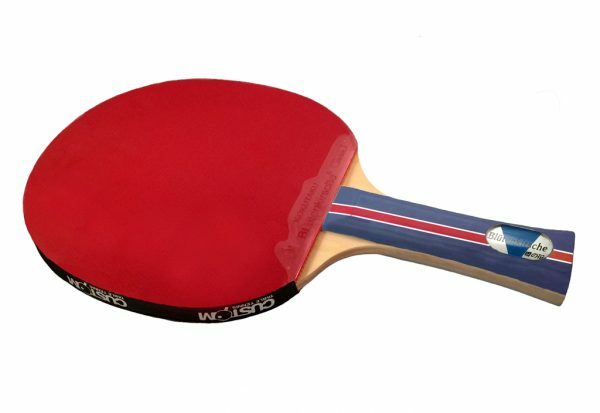 Kokutaku is a new type of EXPLOSIVE professional table tennis rubber with a high grade grippy surface. 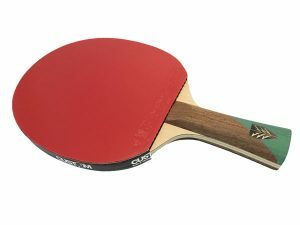 It is adopted from natural rubber and the World’s most advanced pimple structure & rubber surface treatment technologies. 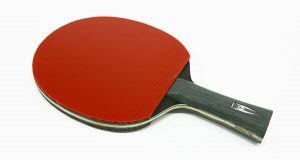 This makes the rubber perfect for strong spin, fast speed and Great control. 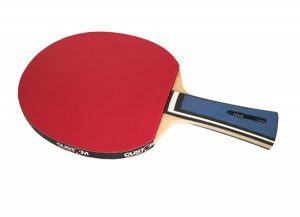 Blutenkirsche have a vast range of Blades and Rubbers to suite every playing style from high grade wood blades right up to hi-tech Carbon blades and rubbers for competition and professional players. 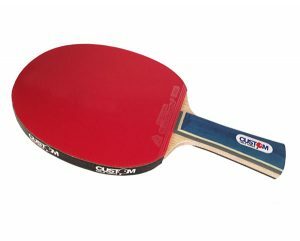 All their products are excellent quality and fantastic value for money. Please note this bat has a flared handle. ITTF Approved for all events.